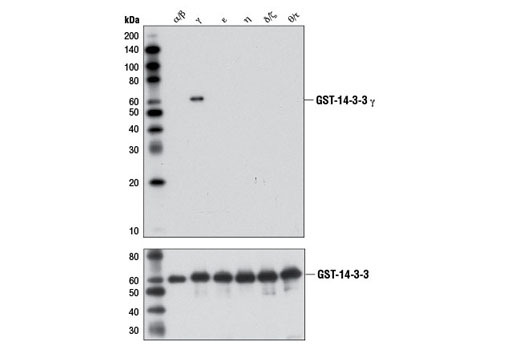 14-3-3γ (D15B7) Rabbit mAb recognizes endogenous levels of total 14-3-3 γ protein. This antibody does not cross-react with other mammalian 14-3-3 isoforms and is predicted to detect 14-3-3γ orthologs in other species, including frog and fish. 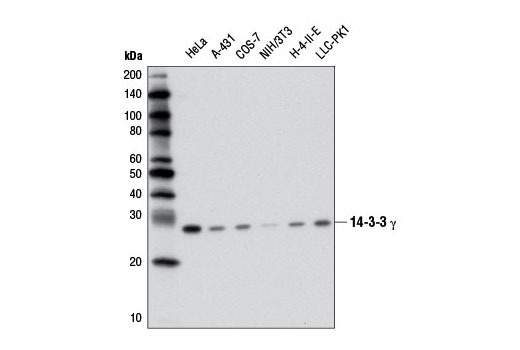 Monoclonal antibody is produced by immunizing animals with a synthetic peptide corresponding to residues surrounding Ile79 of human 14-3-3 γ protein.